My research has been focused on chromosome dynamics and function and also in the mechanisms involved in chromosome instability, as it ultimately can lead to human diseases. I am particularly interested in the epigenetic maintenance of the centromeres, as they are essential regions to ensure proper chromosome segregation during cell division. During my work in Professor William Earnshaw lab (University of Edinburgh) we observed that a combination of specific histone modifications and RNAP-II transcription are required to maintain a functional kinetochore. 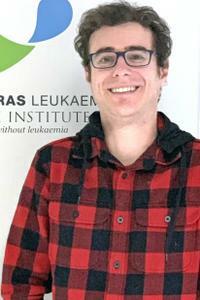 My current project aims to study the contribution of the centromere and chromosome segregation defects to the origin of hyperdiploidy in childhood B-cell acute lymphoblastic leukaemia.